In the late 1980’s Jon Anderson broke away from the Trevor Rabin dominated version of Yes to reunite with his former band mates, Bill Bruford, Rick Wakeman and Steve Howe to produce Yes type music. 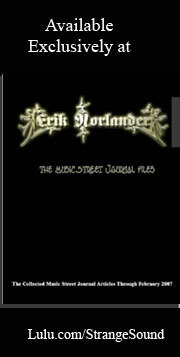 This album was the first result of that reunification. For fans of the original Yes it was a dream come true. The newer incarnation of the group seemed too rooted in the quest for the latest pop hit and fans were hungry for some real progressive rock in the vein of Close to the Edge and Fragile. For the most part this disc really did a great job of filling that desire. Certainly the first four songs taken by themselves represent the best of what oldschool Yes was all about. The only real misstep of the disc was “Teakbois,” but if you want to play devil’s advocate one might be inclined to say that the disc had an overemphasis on mellow music. That said, this is still a great disc with some minor problems. It fits quite well alongside the Yes catalog. Keyboards start this off in a gentle way, belying the fury that’s about to begin. They hold the track for a while foreshadowing the melodies to come. Around the one minute mark electronic percussion comes in and they fire out into fast paced jam that’s fairly frantic. Anderson’s vocals bring an anger with them but also a hopefulness. Shortly before the three minute mark they move out into an instrumental section that gives both Steve Howe and Rick Wakeman opportunities to shine. This is a cool segment that really calls to mind vintage Yes. Howe’s guitar takes a more prominent roles as they work towards the melodic resolution segment. At around the four minute mark we are given a more staccato movement. First Wakeman solos over this and then Howe does. The guitar and keyboards seem to do a dance around each other, as alternating solos merge and bounce here and there. This extended instrumental section takes us to the end of the track. Percussion starts this off and an almost symphonic tension is built up. This gives way a classically oriented jam that’s just plain incredible. I’d put this dramatic track against anything the group did under the name “Yes.” Mind you, this is a short track, but there is something to be said for “get in, get out and leave them wanting more.” Rick Wakeman steals much of the show on this track, but you can’t diminish anyone’s presence here – including Tony Levin. An abbreviated version of this was released as a single. The cut opens in the chorus and it’s the first melodic “song” based section we’ve heard thus far. After the chorus runs through they move through a number of alterations and variations. Howe solos here. This is the first time on the disc where he’s beaten Wakeman to the solo. Howe’s presence is more pronounced on this track and it’s one of the strongest cuts on the disc. There’s a rather Native American styled feeling to a lot of this. There’s a cool bouncing bridge later in the track. This resolves into a melodic breakdown and then Wakeman gets a solo segment. Howe lays lines of guitar soloing over the top after a time. A reprise of the “Nothing Can Come Between Us” section brings us back to the opening chorus section of the track. It resolves into a melodic solo from Steve Howe (multilayered at times). Just as it seems like this might bring us to the end of the track they move out into a killer staccato jam that calls to mind Close to the Edge era Yes. They don’t stay there long, though. Instead this gives way to the rather catchy “Brother of Mine” chorus. Lest you think you’ve found your way into a pop song, though, they shift this out into a powerful keyboard dominated instrumental segment for a time before returning to the chorus. Then this gives way to a more melodic section that calls to mind Anderson’s solo works. This gives way to another brief segment and then a return to dramatic jamming. Howe solos while Anderson is still singing. That’s always a huge plus for me. I’ve never liked the tendency (even in progressive rock these days) to sectionalize the instrumental soloing and vocals. To my ears it’s far more dramatic and powerful to have the solos taking place during vocal sections. In any event they bring in a keyboard solo alongside Anderson later and then resolve out into another killer prog jam that has a major emphasis on Wakeman’s keys. A classic closing jam (ala Fragile) takes the track out. Dramatic and mysterious keyboard tones lead us out here. Howe’s acoustic guitar styling emerges as this builds up. As percussion enters we start to get a bit of a bouncing rhythmic structure. Anderson’s vocals come over the top to create the first vocal segment. The track turns to a hard edged jam for the next vocals. They work back to a more involved version of the ballad section as they carry on and this alternating patter is repeated for the bulk of the number. At around the three minute mark they move out into a mellower motif that combines classical elements with dramatic progressive rock. This is worked through for a time and calls to mine Going For the One quite a bit. They move out from there into one of the most powerful musical segments of the whole disc. This is built on many of the themes already presented, but a more dramatic take on them is used here. Taken a bit more melodic this serves as the backdrop for some of the Anderson’s most plaintive vocals we’ve heard on the album. They work out through some mellower territory as they carry forward. As they turn more atmospheric we get a quick burst of drums. This feels a lot like something from Anderson’s solo work, but when he gives us a short tribal chant type section (with accompanying percussion) this is an even more viable comparison. This serves to take it out. Rick Wakeman creates beautiful lines of keyboards to serve as the backdrop for Jon Anderson’s vocals in this pretty ballad. This gets quite intricate and lush but never moves far from its origins in terms of song structure. The keys really make up the majority of this track. This has a gentle acoustic guitar driven introduction. It’s rather playful and classical in nature. A bouncing ballad structure serves as the backdrop for the first vocals. As they continue forward it seems to climb up like something from Tormato era Yes. This resolution gives way to a return of the ballad section that preceded it. Then we get some interesting Steve Howe soloing on the next instrumental movement. From there they hit the first real snag of the track. The lyrics are quite cool on this movement, though – quoting old Yes songs. The problem is the music which feels like a pop-oriented bouncy Beatles thing. It’s not bad, but a little light weight compare to what’s come before – and what we expect from these guys. They eventually move out into the next segment. This is stronger feeling like a baroque musical pattern mixed with some of the more dramatic music from Jon Anderson’s solo album repertoire. The “I’m Alive” section becomes a powerful classical music dominated movement. This is mellow but incredibly dramatic and evocative. OK, this is the major misstep of the disc. It’s a bouncing reggae jam that has you feeling like you are about to hit the shores of Jamaica. Mind you, it’s not a bad song, but these guys are capable of so much more. They do make some stabs at turning this into something brilliant, giving us splashes of above the norm jamming. They also through a bit of a 50’s rock and roll motif here later. This has a great vocal performance from Anderson, but again seems like something we might hear from a lesser band. The track does manage to redeem itself a bit when it moves out into a melodic little melody (well actually two different ones) that is percussion based and feels a lot like something from Anderson’s solo works. The frantic take on the opening song structures later is interesting, too. This begins with the guitar sounds at the forefront. It’s melodic but also powerful. It has an air of something we might have gotten from the Trevor Rabin incarnation of Yes, but yet there is a complexity here that wasn’t often present in that grouping. It’s over two and a half minutes before we get any vocals. These come in the form of a group reading of “The Order of the Universe.” Then they shift out to a segment that’s even more Rabin Yes-like. Anderson sings over the top of this. It becomes a soaring sort of jam. Anderson puts in some of his most “rock and roll” vocals here. There’s a little transitional segment after this and then they turn in a frantically paced hard rocking jam from there. The cut grows from there until it moves out into the melodic “The Order of the Universe” chorus. They change gears abruptly with Steve Howe’s guitar serving as the instrument of change. This takes us back to the “Yes-West” styled section and we move through an intensification process. The chorus returns and the instruments drop away leaving just the voices with percussion. Then Bruford takes an electronic percussion solo. Howe’s guitar climbs upward and we are brought back into the full musical arrangement with a nice theme. 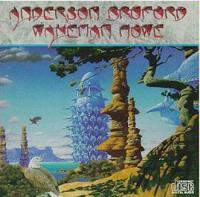 Anderson provides non-lyrical vocals in the distance as Wakeman solos. Levin drives this to its atmospheric conclusion – heralded by the sound of gongs. With a primary basis on acoustic guitar, this is essentially a ballad that feels like it would have been at home on one of Jon Anderson's solo releases. It gets some intricate and dramatic treatments and is a good number. My only question is whether it might have better served in an earlier position on the disc leaving the powerhouse “Order of the Universe” suite to close things.